There is a lot to consider when choosing a Part D plan. Monthly premium ranks high on criteria that you may consider to be important. It’s not the only factor you should take into consideration, but with premiums ranging from under $20 to over $100 per month, the monthly premium is a big driver of annual cost. United Healthcare offers three Part D plans for 2014 and has something for everyone. Although it’s true that the AARP MedicareRx Saver Plus Part D plan has a low premium, it may not actually be the plan with the lowest cost. The following is an overview of AARP MedicareRx Saver Plus, who may benefit from membership and why you should consider more than just the monthly premium when choosing a Part D plan. There are approximately 14,600 preferred pharmacies in the network of over 65,000 pharmacies. You will pay a higher co-payment when using a non-preferred pharmacy. Of the three AARP Part D plans available through United Healthcare the Saver Plus plan is the only one that requires a deductible. When comparing plans you should factor the deductible into your over all costs. The $310 deductible amortized over 12 months is $25.83. Assuming that you will have at least $310 in annual drug costs, adding this amortized amount to the premium results in an average monthly cost of $45.53. 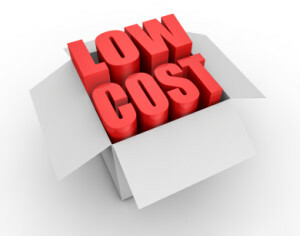 Even with the required deductible, the co-payments are generally low enough to keep your total annual costs low. If you are considering this plan you should review the plan’s Summary of Benefits and Part D formulary. Monthly premiums for the AARP Preferred and enhanced plans will vary by State, while the AARP Saver Plus PDP has a $19.70 monthly premium nationwide. in the formularies for each plan. Both the saver Plus and Preferred plans are considered basic formularies while the enhanced is an expanded formulary. The Saver Plus Part D plan is most suited to someone who requires a limited amount of medications, all of which being included in the most commonly prescribed category. This plan is not suitable for someone who requires less common medications or is likely to reach the donut hole. Before you become mesmerized by the low premium associated with the Saver Plus plan you should make sure that all your drugs are included in the plan’s formulary. The lowest Party D premium will not result in the overall lowest annual costs if your drugs are not covered. To make the right choice, start your research by reviewing the Saver Plus formulary. I would love to see one of your e-mails discuss the advantages/disadvantages of not enrolling in any Part D plan. I do not currently take any prescription drugs, my current retiree prescription coverage with my company is ending, and I am considering simply paying for any prescription I may need for a temporary ailment. Richard, I really don’t see a lot of advantages to not signing up. Go with a low premium plan if you are not on regular meds. The AARP MedicareRx Saver Plus has the lowest premium of any national plan. If you do not enroll when you first become eligible (when your current coverage ends) you will pay an additional 1% penalty every month of the average Part D plan at the time. Unless you have clairvoyant abilities it would be hard to say that you will never need expensive meds. The Saver Plus plan as a monthly premium of $15 or check out the Humana Walmart Preferred plan at $18.50 per month. Either way it’s a small amount to pay to protect yourself. It’s insurance! My house is not currently on fire but I pay for homeowners insurance just in case. Not happy about it… but I do. how can i see if my enrollment was accepted ? Leslie, If you are not accepted you will receive notification. I got on your plan this January. My first order of drugs arrived. I was not pleased that the dollar amount that the plan pays on each prescription was not on my invoice. Doris, no plans are offered from this site. I suggest you call member service at the number on the back of your card to get some assistance. Gary, If you have questions about your Part D coverage call the AARP member services phone number on your card. NEED A NEW CARD, I LOST MINE! Do I have to be a member of AARP in order to sign up and purchase AARP MedicareRx Saver Plus Insurance? Marie, No. The only AARP Medicare product that requires membership is the supplemental coverage. Esther, This site is not owned or operated by United Healthcare. Call the member services number on your Card to get assistance.